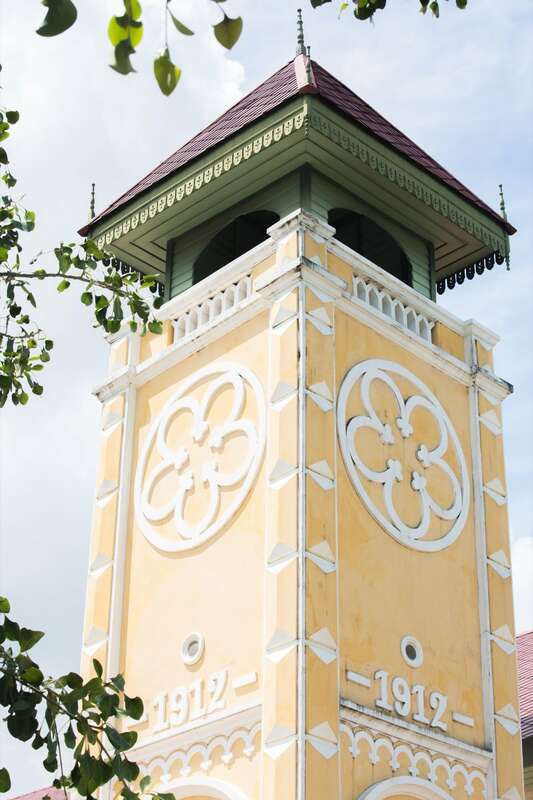 Samray Church stands at the intersection of the Presbyterian community, Kudi Jeen, and Bangkok Christian College. 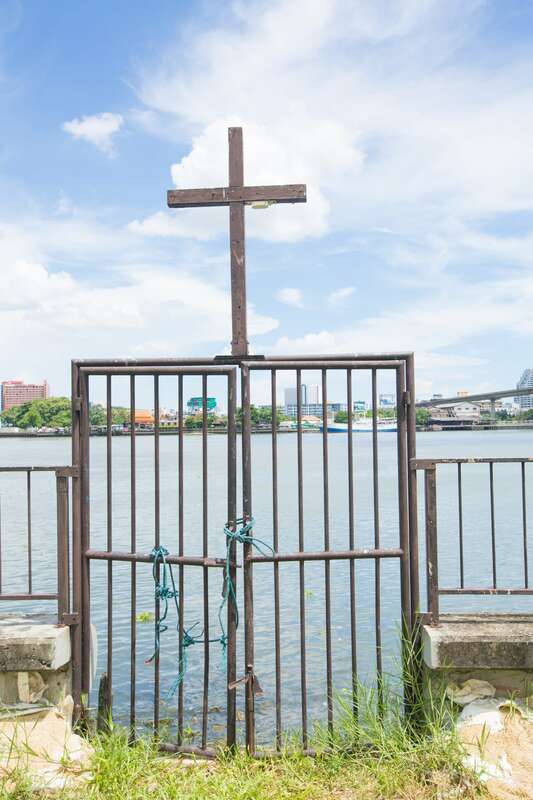 South of Saphan Taksin Bridge closer to AVANI+ Riverside and Anantara Riverside Bangkok stands a small church on the river’s edge. 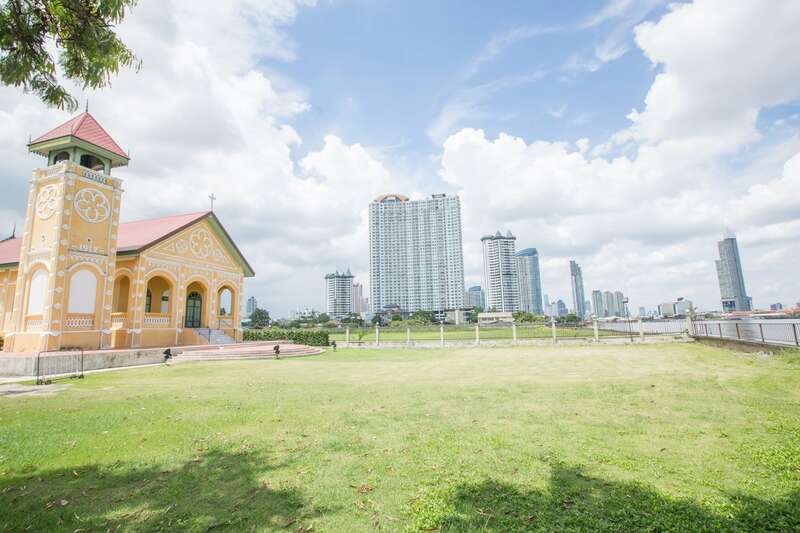 The one-storey house of worship and belfry might not look like much but its existence ties together seemingly disparate locations in Bangkok in surprising ways. Built in the 1860s, Samray Church is the first Presbyterian church in the city and was the result of several generations of missionaries. 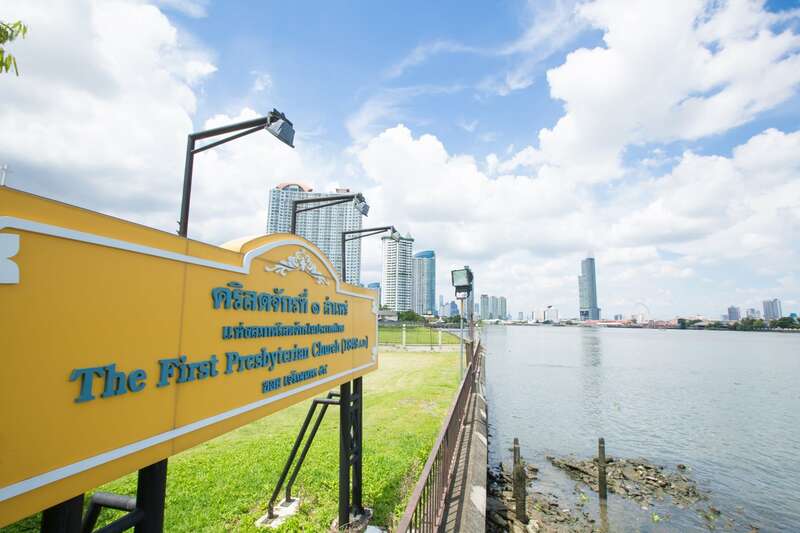 The first wave of Protestant missionaries came to Siam in the 1820s from Europe and were followed by their American counterparts in the next decade. The missionaries were focused on converting the Chinese immigrants who were making Sampeng come to life as the capital’s Chinatown. Reverend Daniel Beach Bradley, one of the American missionaries, treated Prince Mongkut, which resulted in the two forming a rapport. The missionaries then moved to Kudi Jeen, closer to the Portuguese community who had their own place to worship, Santa Cruz Church. In 1851, Prince Mongkut ascended the throne to become king and didn’t forget the Protestants. 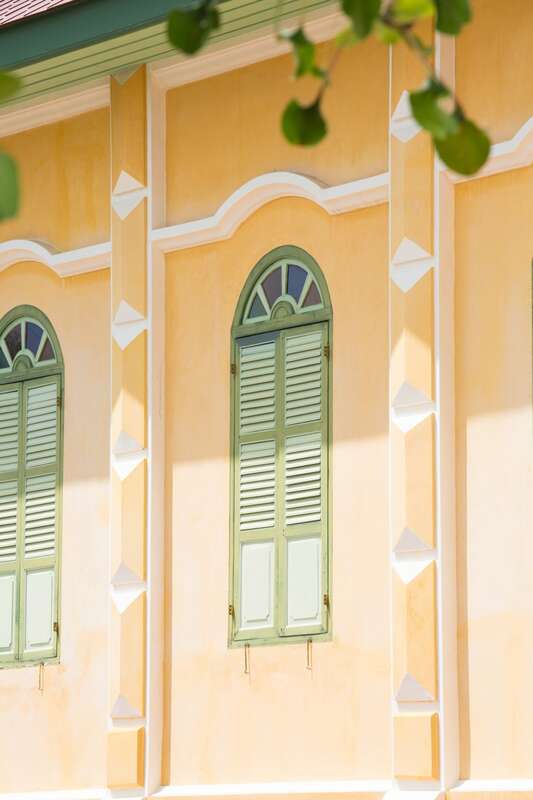 Shortly, a royal land grant was made to the missionaries who then built a boy’s school in the neighborhood, which became known as Bangkok Christian High School. In the late 1850s, the American mission decided to buy land in Samray area to build their own church. 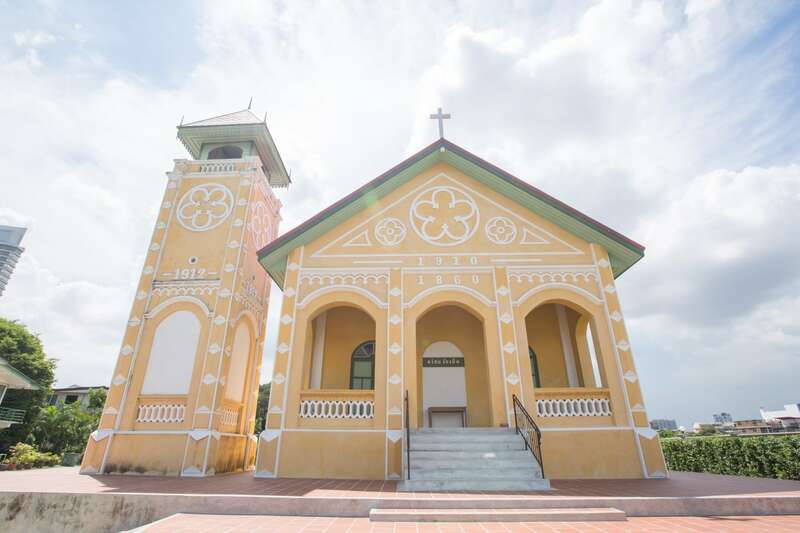 By 1862, Samray Church was completed and became the catalyst to make Samray turn into the center of the Protestant community. In 1888, Bangkok Christian High School moved to join the church. 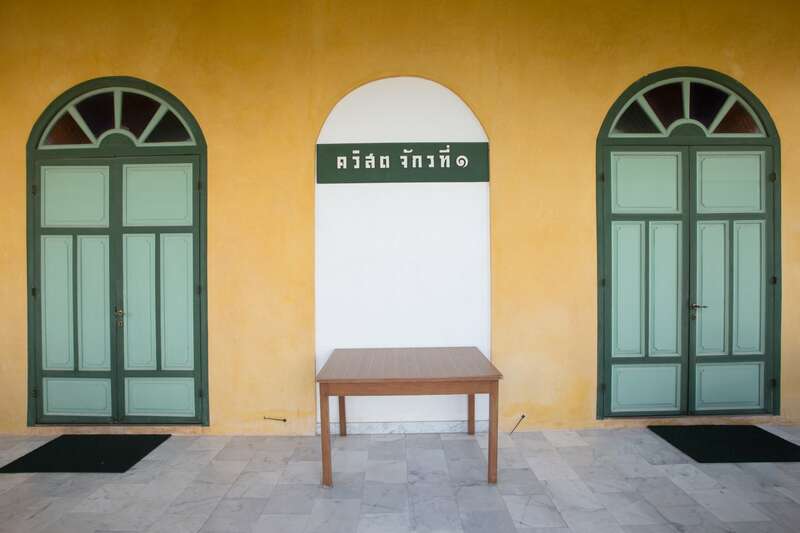 School enrollment increased and in 1902, the school moved once more to Sathorn. It renamed itself Bangkok Christian College, which has gone on to become one of Bangkok’s premier educational institution. Samray Church continued its humble mission up until today. 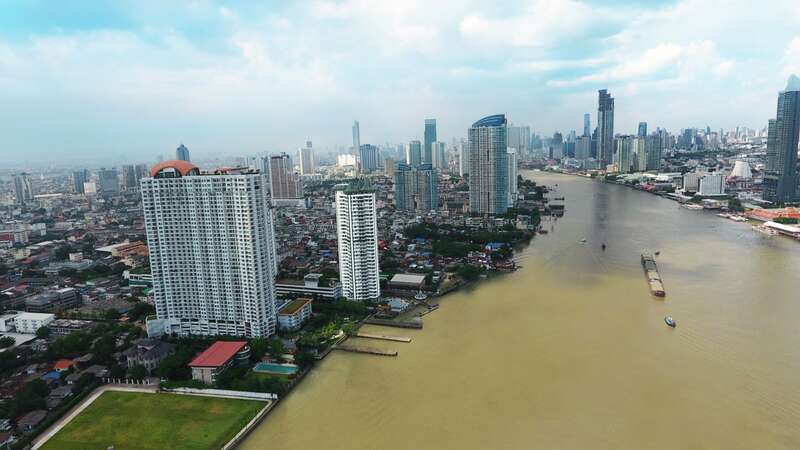 The church may now seem lost in the chaos of Bangkok but once one knows its story, it significance becomes clear once more.